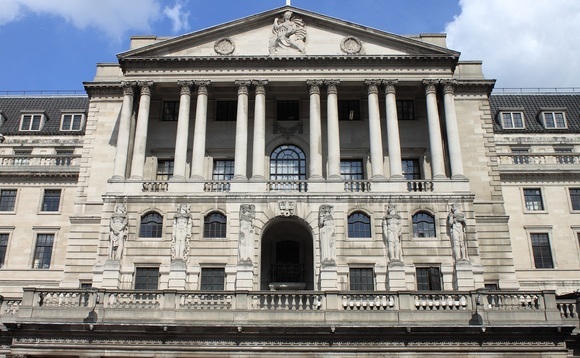 The Bank of England revealed the results of its annual stress test today, for the first time since the launch of the test in 2014, no bank is required to strengthen its capital position as a result of the test, the BoE revealed. The 2017 test subjected banks to a scenario described by the BoE as “more severe than the global financial crisis”, including GDP falling by 4.7%, interest rates rising to 4% and house prices dropping by 33%. The Asset Quality Review and stress test: where to next? The seven lenders reviewed in the stress test were Barclays, HSBC, Lloyds Banking Group, Nationwide, The Royal Bank of Scotland Group, Santander UK Group Holdings plc and Standard Chartered. While the BoE estimated that banks would face losses of about £50bn in the first two years of the scenario, it concluded that as a result of the capital buffers they have acquired, they would nevertheless be able to continue to lend. Other scenarios the test considered were among others a rise of unemployment to 9.5% and the sterling exchange rate falling by 27%. While the report considered a number of different general crisis scenarios, it did not specifically mention the potential effects of a British exit from the EU. Instead, it attempted to encompass a number of macroeconomic risk scenarios resulting from a British exit of the EU. Adressing these challenges at a press conference, Mark Carney, BoE governor said: “Turning to Brexit, there are a range of possible outcomes for the future UK EU relationship. Consistent with its remit the FPC is focused on those scenarios that, even if they were the least likely to occur, could have the greatest impact on UK financial stability. These include scenarios where there is no agreement or no transition period in place at the time of exit. “The 2017 stress test encompasses the many possible combinations of macroeconomic risk and associated losses to banks that could arise in such an event, as a consequence, the FPC judges that given their current levels of resilience, UK banks could continue to support the real economy, even in the event of a disorderly exit from the EU” he argued. “That said, in the extreme event in which the UK faced a disorderly Brexit combined with a severe global recession and stressed misconduct costs, losses to the banking system would likely be more severe than in this year’s annual test. In this case, where a series of highly unfortunate events would happen simultaneously, capital buffers would have to be drawn substantially more than in the test and as a result, banks would likely restrict lending to the real economy, worsening macroeconomic outcomes” Carney warned. The report raised that while banks overall improved their buffers, RBS and Barclays still faced challenges. Based on their end 2016 capital positions, Barclays and RBS had not met their CET1 capital ratio and Tier 1 leverage ratio requirements. However, it said that both lenders had “significantly improved” their capital buffers since and would pass the requirements based on their latest capital positions. The stress test also highlighted a number of additional risks to bank’s earnings forecasts. This included growing competitive pressures from FinTech innovations such as Open Banking which: “may cause greater and faster disruption to banks’ business models than banks projected” the stress test warned. It also added that banks might be unable to execute their planned cost reductions whilst maintaining a broad range of services.